When I find a great product, I want to share it with everyone. 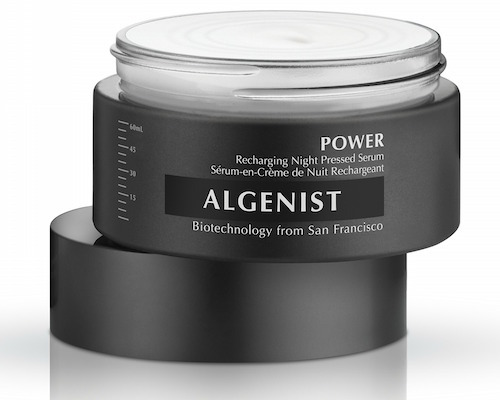 In that spirit, you need to know about Algenist POWER Recharging Night Pressed Serum. 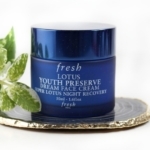 This highly concentrated, solid skin treatment delivers results quickly…who doesn’t want that? Usually when I test a skincare product, I allow 4-6 weeks of use, and up to 8 weeks depending on the brand/clinical claims. When I read that Algenist was promising results in 10 days, I was like, let’s do this! I was more than impressed, as I felt a difference in my skin the morning after the first night of use. My skin was noticeably softer. As I’ve continued to use the POWER Recharging Night Pressed Serum, I feel like my skin has continued to look better; hydrated, glowing, soft and just better overall. Algenist POWER Recharging Night Pressed Serum is just that…a highly concentrated solid serum that melts into a cream once warmed (with your fingers). Although the package insert states that the POWER Recharging Night Pressed Serum addresses the “first visible signs of aging”, all ages and skin types can benefit. 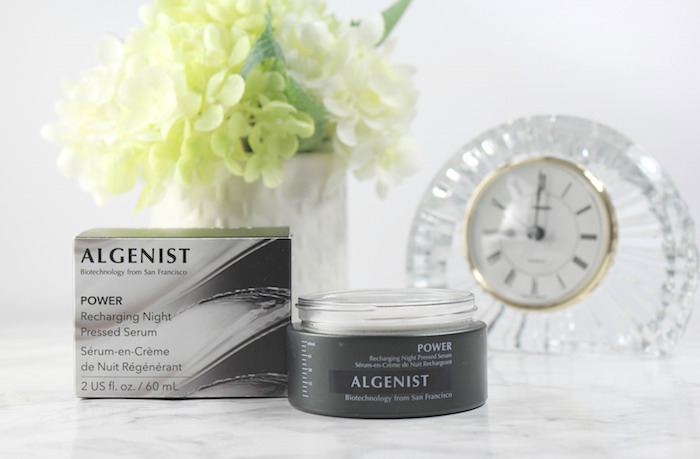 The POWER formula has Algenist’s patented Alguronic Acid as the cornerstone and builds from there, with nutrient-rich coconut water, Algin, peptides and more. In clinicals, after 10 days of use, 98% of subjects reported softer skin and smoother texture, and 93% of subjects reported skin suppleness was restored. My own results are similar. 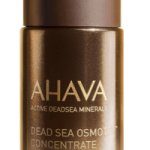 My dehydrated skin really responds to this formula…and I’ve tested a ton of serums throughout the years. To use, apply to clean skin. A little product goes a long way; warm the pressed serum in your hands and apply to face, neck and decolette with (clean) fingers. My skin has been thoroughly hydrated and comfortable, and I haven’t found the need to add an additional moisturizer on top (as I would normally do), although you certainly could do that. Algenist POWER Recharging Night Pressed Serum ($95) is available at Sephora and I’m heartily recommending it if you’re looking to smooth, rehydrate and recharge your skin! Disclosure: Press samples have been provided by the brand/PR for editorial consideration, product testing, photography and review. Affiliate links have been used in the post; see Disclosure Policy for additional information. 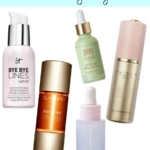 5 Serums to get on your radar! 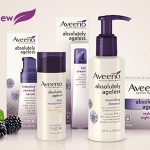 New AVEENO® Absolutely Ageless™ Collection! 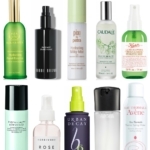 9 New Products to Reboot Your Skin Care Routine!